Home » Ares Games » Tripods & Triplanes now live on Kickstarter! 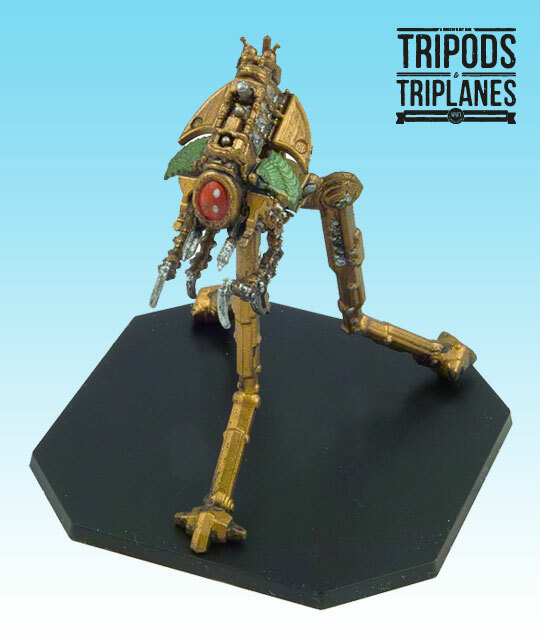 Tripods & Triplanes now live on Kickstarter! Ares Games launches today, at 03:00 PM EST (01:00 PM UTC/GMT), a new Kickstarter project to fund the release of Wings of Glory – Tripods & Triplanes, a new "weird war" setting for Wings of Glory, the best-selling aerial combat tabletop game, with an initial goal of $30,000. The campaign will run until December 20th. Wings of Glory is an airplane miniature game that recreates aerial combat during the WW1 and WW2, popular for its elegant and innovative game system that takes just a few minutes to begin playing after opening the rules. Each airplane uses a historically accurate maneuver deck, yet it is easy to play. 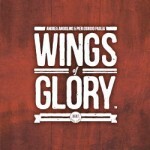 Wings of Glory - Tripods & Triplanes introduces a new twist to the game, as the WW1 historical setting is turned upside down by the crossover with H.G. Wells' imaginative novel "The War of the Worlds". 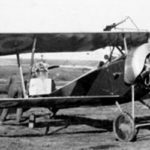 Tripods & Triplanes: the Tripod Mk.I "Locust". In Tripods & Triplanes, what should be the year the war ends, 1918, becomes the “Year of the Invasion”. Two different generations of Martian Tripods, one more advanced than the other, land on Earth, in two waves of invasion. The knights of the air battle against these colossal fighting machines. Players will take control of an awesome Martian Tripod, set upon bringing death and destruction on our planet, or fly on the most advanced flying machines created by Mankind during World War One, and try to use them to win the War of the Worlds. Designed by Andrea Angiolino (Wings of Glory/Sails of Glory), Francesco Nepitello and Marco Maggi (War of the Ring, Age of Conan Strategy Board Game), Tripods & Triplanes is a stand-alone game, fully compatible with the WW1 Wings of Glory game line, which includes game sets, additional packs with different aircraft to play, and accessories. The Tripods & Triplanes project on Kickstarter offers the choice between three pledge levels: Martian, Invasion and The Earth Fights Back. The Martian pledge level ($45) includes everything needed to start playing: a copy of the Tripods & Triplanes Starter Set and all Martian stretch goals unlocked during the campaign; the Invasion pledge level ($80) includes the rewards of the Martian level and, in addition, two Tripod Packs, the Mk.I “Locust” and Mk.II “Scarab”, allowing to field a full invasion force against the Earthlings – plus all Invasion stretch goals unlocked during the campaign. The third pledge level, The Earth Fights Back ($140) includes a full invasion force against the Earthlings and enough airplanes to fight them – all the rewards of the Invasion level, plus a WW1 Wings of Glory Rules and Accessories Pack and four WW1 Wings of Glory Airplane Packs (Albatros C.III, Albatros C.III, Nieuport 17, and Sopwith Strutter 1 ½). Tripods & Triplanes: the Tripod Mk.II "Scarab". 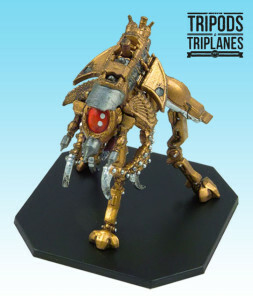 The Tripods & Triplanes Starter Set is a complete game, including one Mk.I “Locust” Tripod model and one Nieuport 16 Airplane model, fully assembled and painted, with special gaming bases, maneuver and damage cards, rulers, counters, markers and tokens, a rulebook and a scenario booklet. Tripods & Triplanes game will also present Tripod Packs, expansion packs featuring a pre-painted and fully assembled model, a deck of maneuver cards, counters, and a tripod reference card, to allow players to field more alien machines in their battles. After achieving the initial funding goal, extra items can be unlocked to upgrade the game through stretch goals. Backers will also have the option of include add-ons in their pledge, such as extra components to play larger games and a selection of products from the WW1 Wings of Glory range. Tripods & Triplanes is scheduled to ship to backers in July 2018, from Ares Games’ main warehouse in the USA and from secondary warehouses in Australia, Canada, Germany and Hong Kong. No customs charges will apply to backers in Australia, Canada, European Union, or USA. To learn more about the new game, and to pledge, visit the Wings of Glory – Tripods & Triplanes project on Kickstarter, watch the 5-minute tutorial video on YouTube, and follow the Tripods & Triplanes’s page on Facebook. Tripods & Triplanes is the 10th project of Ares Games on Kickstarter. Seven have already delivered successfully (Sails of Glory, Galaxy Defenders-Season 1 and Galaxy Defenders-Season 2, Age of Conan - Adventures in Hyboria, Wings of Glory - Giants of the Sky, Dungeon Time and Sword & Sorcery) with very positive feedback from the backers. The 8th project, Divinity Derby, is now shipping to backers, and the latest project, Master of the Galaxy, is on-track to ship the rewards to its backers in March 2018.